It's that time of year again and the holiday cards need to be sent out. But let's just face it, addressing them is, well, a chore. Don't fret! I've got ya covered! We'll do the addressing for you. It's super easy and convenient, all you need to do is add a stamp! 3. Download our handy address template (https://www.dropbox.com/s/15o0a1urj3c8l1m/Guest_addresses.xls?dl=0). 4. Send us your addresses to tara[at]deaandbean.com - that's it! ***YOUR RETURN ADDRESS WILL BE PRINTED ON THE BACK FLAP OF THE ENVELOPE IN ADDITION TO EACH RECIPIENT'S ADDRESS*** Please provide the return address you'd like printed. 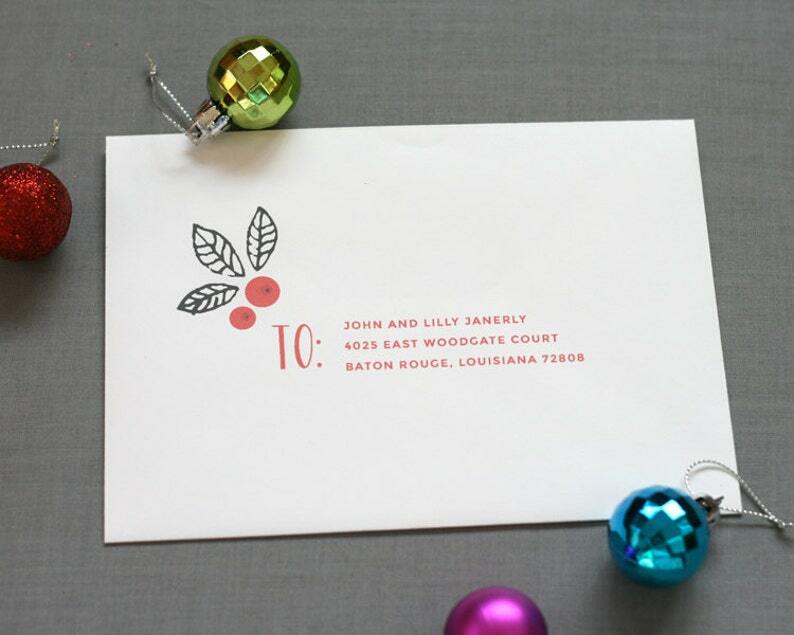 If no address is provided, the mailing address associated with your Etsy account will be used. Addresses are printed DIGITALLY, we do not provide hand calligraphy.